With the recent announcement of the new color of the year, Radiant Orchid, came lots of questioning regarding its application in the interiors. Some people even resisted the idea of ever using this color from Pantone on the same area. 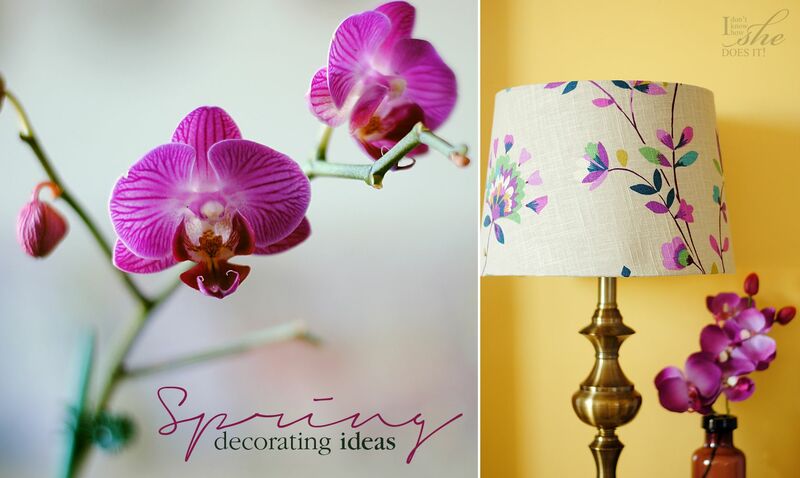 In my case, I’ve always been a lover of most things in purple, lilac, mauve and lavenders; so using Radiant Orchid to decorate was sort of like second nature to me. When incorporating a new trend (like this color) on your design keep in mind to do so in small quantities to see how well your eye adapts to its presence in a room. 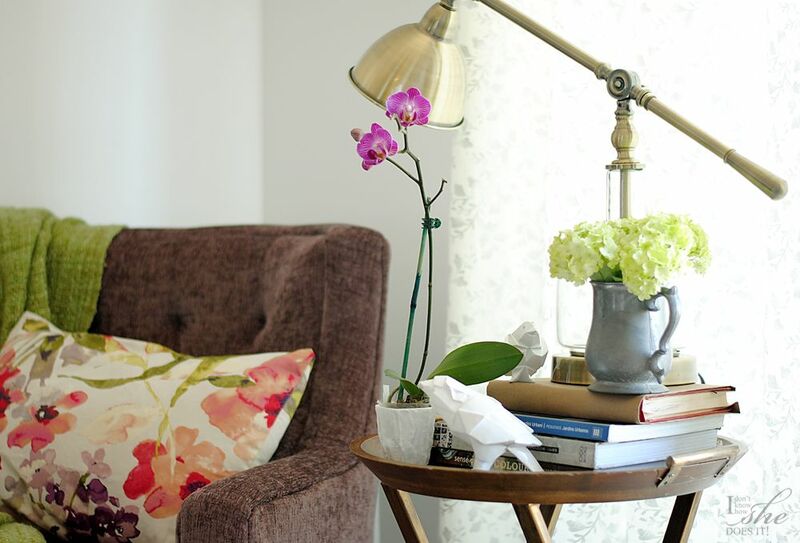 Also, opt for accents instead of large pieces that might feel awkward at first. Now for my living room, I wanted to make Radiant Orchid the main character of this area but didn’t want to scare my visitors with an overload of this color. 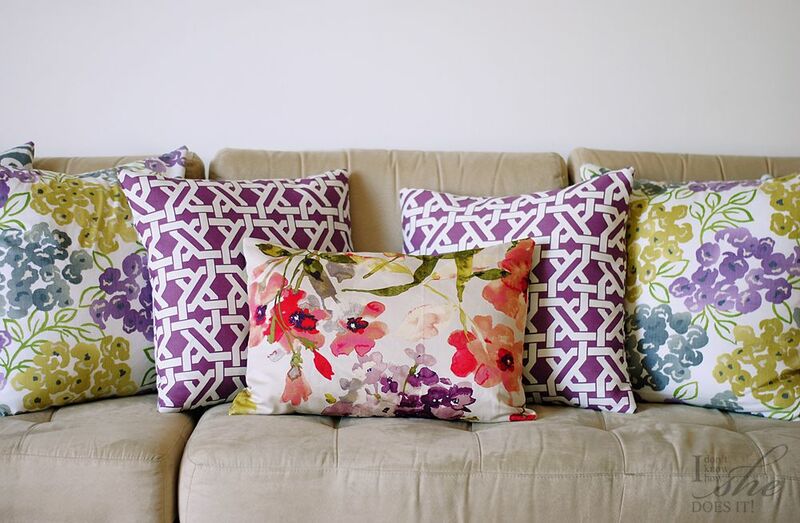 To incorporate it on small quantities and almost in a “disguised” way, I made some pillow shams for my decorative cushions using different patterned fabrics from +Jo-Ann Fabric and Craft Stores with a variety of hues similar to Radiant Orchid. I also recover my lampshade to go with my “new” decoration. For the lampshade I used the Eaton Square Sheila Peacock & Emerald available at Jo-Ann. The results were astonish and even my lonely corner was updated with a beautiful chair and lamp I found at +HomeGoods (ahemm… it was my husband who really found it for me…shhh don’t tell anyone!). I’m so in love with this new color, I’m thinking on turning another room on a shrine for Pantone Radiant Orchid. Have you used this color in any room? If so, share with me your photos on my Facebook page. 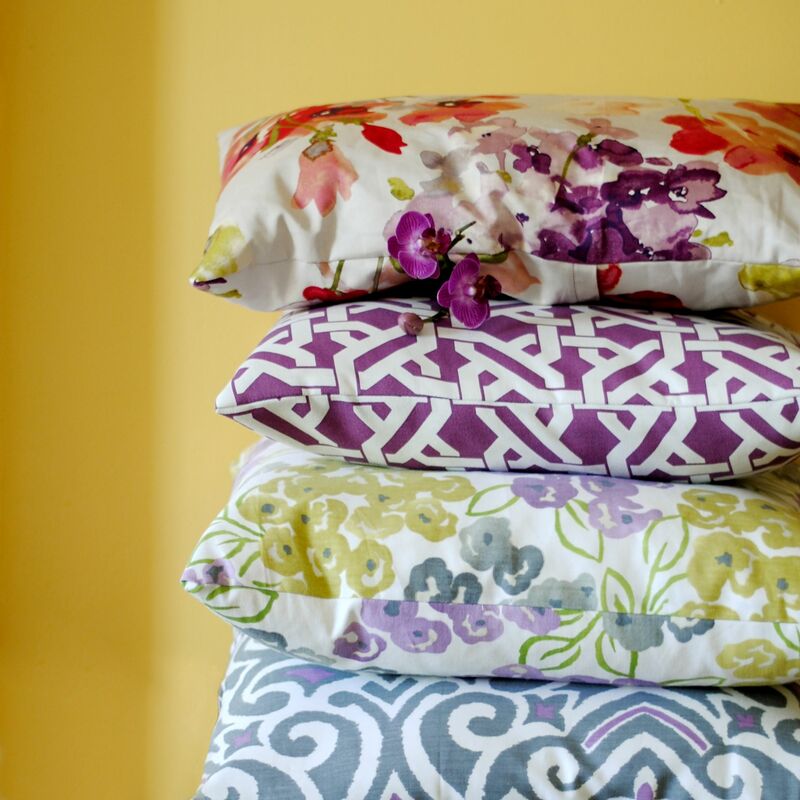 I’m leaving you with the list of the fabrics I used on my pillow shams. Most of them are from +HGTV fabric line on Jo-Ann. Also to see more great interiors ideas and get inspired, visit Remodelaholic. She is having a great lonk party where you’ll find some fabulous pointers for that room in need in your home. From top to bottom: HGTV “Color Study Berry”, Tropix Degas Grape, Robert Allen at Home Best “Floral Purlple”, Robert Allen at Home Best “Damask Nickel”. but the opinions are 100% my own. Thank you so kindly. I've been following your blog for quite sometime now, but I've never left you a comment, lazy me, but I could not resist today looking at the beautiful and colorful photos. In this gray and snowy winter this post is like a breeze of fresh air. I want to congratulate for such a beautiful and original blog you have here. I love when I check my email and see that there is another post. Thank you. Talk about making one's day a little brighter… and that is exactly what you did to mine. Thank you so much for such a beautiful compliment and for your support. Have a wonderful day! Hello Jennifer! 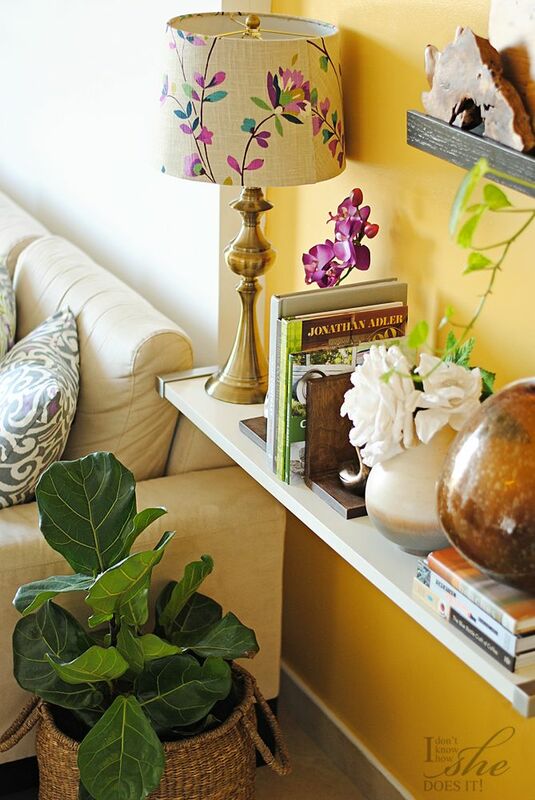 Both lamps are from HomeGoods but the one in front of the "Jackfruit" colored wall, was recovered with Jo-Ann's fabric. Thank you so much for stopping by and commenting. Have a great day!